Accountants and businesses were left in the lurch when the Australian Senate took a six-week break before clearing a backlog of tax legislation. Issues around corporate tax cuts, CGT concessions, superannuation and payroll were all on the table. Parliament resumed on 13 August but some bills are still up for debate, leaving accountants considering the possibility of retrospective work. 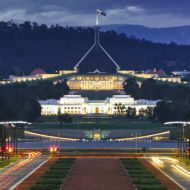 In June 2018, the Australian Senate adjourned for its six-week winter recess without passing several important, tax-related bills. Where did that leave accountants? On 28 June 2018, just before the end of the 2017-18 financial year, Robyn Jacobson, a Senior Tax Trainer with TaxBanter Pty Ltd, posted on LinkedIn a list of key tax measures that she was “anxiously monitoring”. It was the second last banking day of the financial year and the final Parliamentary sitting day before a six-week Parliamentary break. Robyn was concerned about the lack of clarity caused by the fact that so many important proposals for laws, or changes to laws, were not yet passed. She listed seven bills that were important in terms of a decision being made before Parliament took a break. That evening, once Senators agreed to adjourn, none of these issues had been clarified. All of the bills were, and are, still outstanding. Parliament would not sit again until 13 August 2018. This creates an uncertain environment for taxpayers and their agents... It’s not an ideal situation. The seven main measures Jacobson identified have different start dates and some are retrospective. therefore, if an accountant was preparing a tax return for the 2017-18 financial year, they would prepare the return based on the law at the time. But those laws may have changed retrospectively. Billy Meston, a Partner with PwC in Australia and ICAS Community Chair in Western Australia, has worked hand-in-hand with the mining industry for several decades. He says current evidence suggests mining will not suffer a serious problem attracting talent, but that in order to bring in Millennials it will have to develop a social conscience. “This is about changing the eligibility criteria for access to the small business CGT concessions. The Bill originally proposed a start date of 1 July 2017. It is now proposed to be 8 February 2018, but we’re still waiting for the bill to be passed. “The Government has announced a 12-month Amnesty for employers to come forward and declare they have a shortfall from a previous quarter, where they haven’t paid their employees’ superannuation, all the way back to 1 July 1992. It’s 26 years’ worth of amnesty, which is extraordinary. “What we’re not clear on is whether the amnesty itself will be legislated. Over 120 employers have already come forward, but the amnesty may never become law. “If you’re a non-resident for tax purposes, you won’t get access to the main residence exemption (MRE) on a dwelling that you sell in Australia. The Government’s policy is to deny the MRE to foreign residents. “The problem is it’s also picking up Aussie ex-pats. 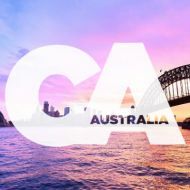 If you’ve been an Australian resident all of your life and you bought a home and lived in it for 30 years, then you decide to move overseas to pursue a career opportunity, you’re now a non-resident for tax purposes. "When you sell your property, the MRE won’t be available. The effect of this measure on Aussie ex-pats who become non-residents is to retrospectively deny the MRE as far back as the start of the CGT regime in September 1985. Be mindful, Robyn recommends to all accountants, that there may be amendments to these, and other, laws.